The Raven Faerie - Psy dev. Rev. Nanci Clifford,(who prefers just “Nanci”) has studied psychic development for over 20 years and has developed extensive knowledge in the world of metaphysics. She has been teaching psychic and spiritual development for over 12 years. 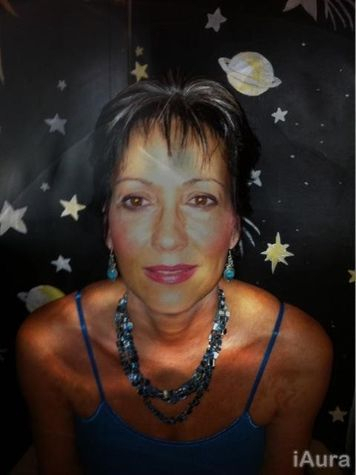 A gifted intuitive counselor herself, Nanci combines tried and true techniques for intuitive development with the spiritual foundation necessary for balanced personal and psychic growth. Although herself a Metaphysician, Nanci teaches from a non denominational standpoint, inviting those of all faiths to tap into their gifts in the comfortable and welcoming setting she provides. Her students have been extremely diverse and include a wide range of beliefs and religious backgrounds from Wicca, Baptist, Jehovah’s Witness as well as Catholic and Hinduism. Raised by a Baptist Minister Nanci is well versed in Biblical applications of Metaphysical concepts and is experienced with training those who themselves have come from traditional Christian backgrounds. No matter what religious background, YOU ARE PSYCHIC! Nanci’s students have gone on to become successful practicing Psychics, Counselors, Reiki Masters, Feng Shui Masters and, most importantly, happier, balanced spiritual beings.